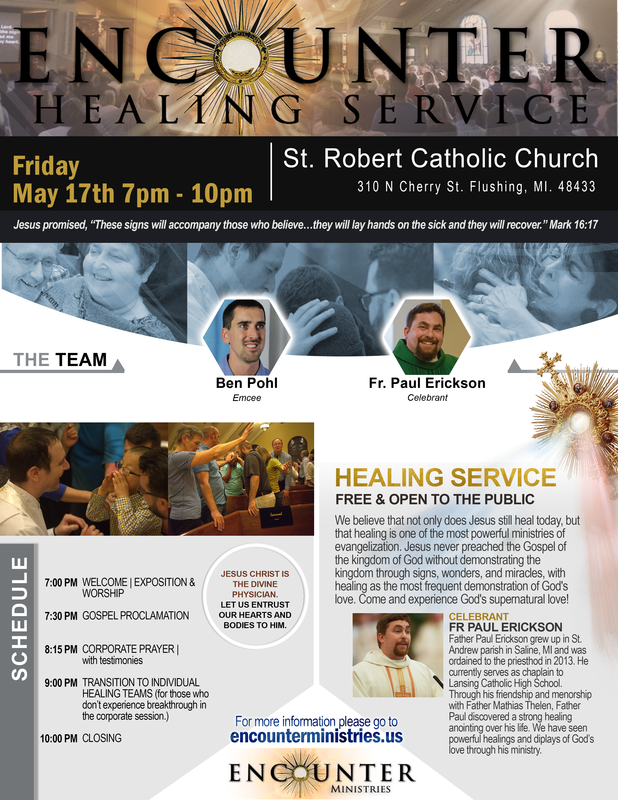 Father Paul Erickson and Ben Pohl will be leading an Encounter Healing Service on May 17th at 7:00 pm at St. Robert Catholic Church in Flushing, MI. The healing service will include a time of worship, proclamation of the Gospel and preaching, corporate prayer for healing ending with individual prayer teams for healing. Come spend the evening in the healing power of God. Come prepare for breakthrough! No registration needed! Just show up! St. Robert Catholic Church, Flushing, MI.